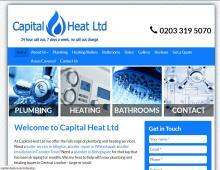 Capital Heat Ltd are an experienced plumber in Bishopsgate offering a full range of plumbing and heating services. Members of OFTEC, Valliant Accredited installers and Gas Safe registered, Capital Heat Ltd are the perfect choice to solve your plumbing and heating problems. As an emergency plumber in central London, Capital Heat Ltd are available 24/7 in the event of an emergency and cover Whitechapel, Shoreditch, Islington, Camden Town, Bishopsgate and South West London. Looking for a gas safe engineer in Central London that can provide professional plumbing & heating services? Then get in touch with Capital Heat Ltd today to book a qualified engineer to resolve your plumbing and heating issues!